Consider extending the line of credit to your customers with this consumer credit application template. This is easy to edit and customize with all versions of MS Word and Apple Pages. 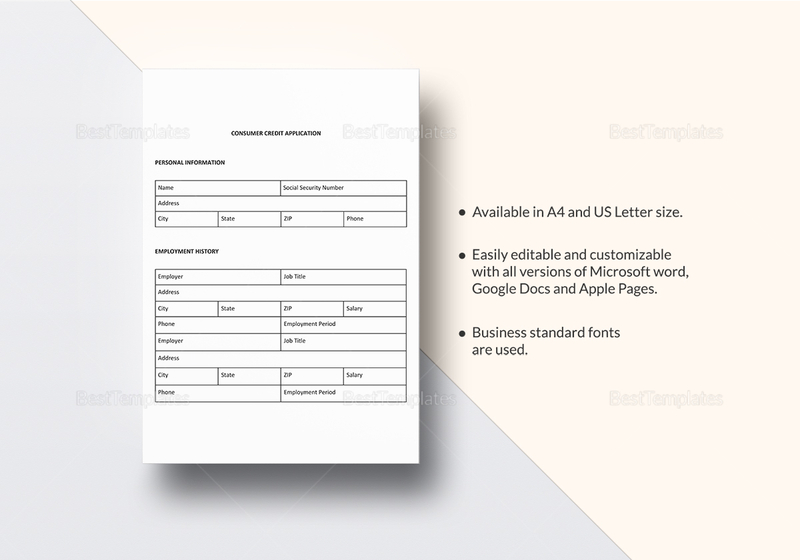 The document is available in A4 and US Letter sizes. 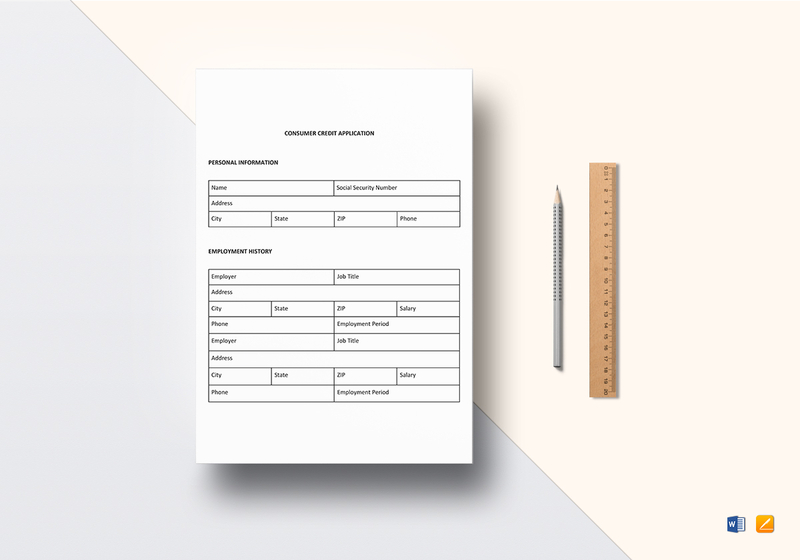 Print ready and perfectly suitable for personal and commercial printing.